But relax. They’ve totally got this. They hope.Moving to a space station at the edge of the galaxy was always going to be the death of Hanna’s social life. Nobody said it might actually get her killed. 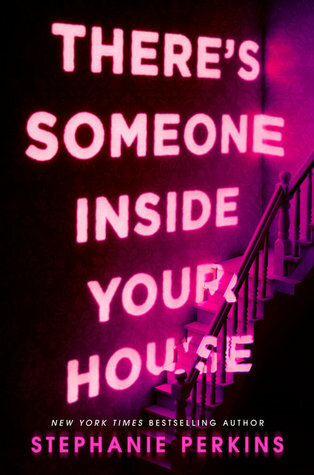 I wasn’t too sure about Gemina before I read it because I was on the fence about Illuminae. In the end, I picked it up because I was in the mood for something written in a style such as this, and I knew that I’d at least somewhat enjoy the story. 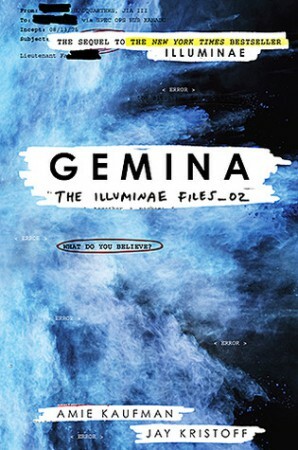 What actually happened was I ended up liking Gemina a lot more than Illuminae because I felt more connected to the main character, and I feel like the story flowed better. I think the greater use of video transcripts worked really well here and helped me enjoy the book more. There was less instant messaging and email threads, and more transcripts this time. It sense to use them more since a lot of the action was taking place away from the main characters. Plus, the amusing voice of the narrator was a great addition to the story. I realised that I love this style of storytelling, and I think it particularly works with science fiction. Sure, it’s easy to do with contemporary and romance, but I think using it to tell a science fiction story just adds that something extra. I did, however, realise that I am so over the bad boy romance thing. I probably would have shipped Hanna and Niklas like crazy a few years ago, but now I didn’t feel any chemistry between them at all, and I really wasn’t bothered by the faux bad boy character arc. I adored Hanna. I thought she was a really interesting protagonist. Sure, we’ve seen the like before. Military daughter, BAMF, great fighter, snarky… but I like that in a female protagonist so it worked. Reading this has made me really excited for Obsidio. Like, it is probably in my top three most anticipated releases for 2018. I cannot wait! I just finished Illuminae over the summer and am really looking forward to reading this one soon. Hanna sounds like a great character. Loved your review! I actually loved both of these books, my only reservations for this one is that it wouldn’t stand up to Illuminae (which it did). I agree I’m sort of mostly over the bad boy thing, but I kind of have a soft spot for a well written bad boy. I think it’s the last holdout from my teen years. Everyone loves a fictional bad boy (they are less appealing in real life).